For some reason, I was never a fan of red velvet cake. I didn’t really understand why people raved about it so much. I think it’s because I didn’t see why you would add a ton of red food coloring to an otherwise ordinary cake. This recipe made me realize. 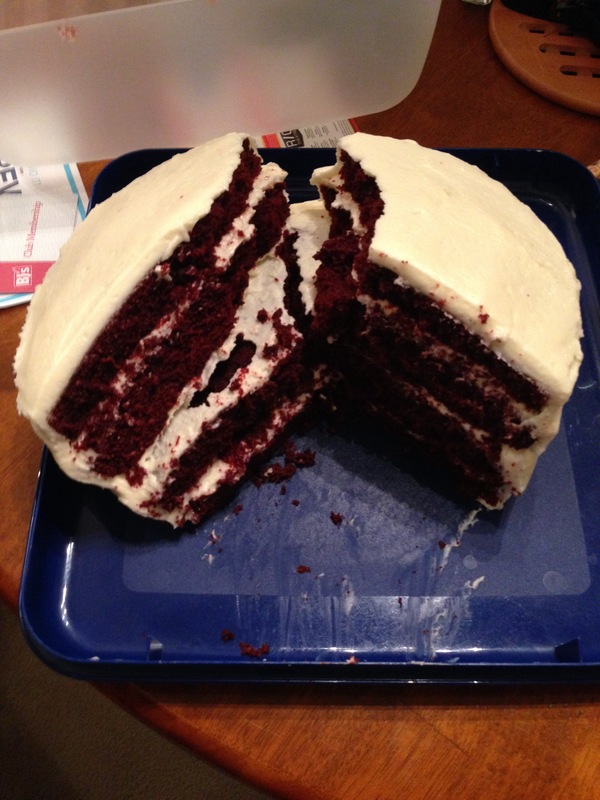 Most recipes for red velvet cake that I found only had two tablespoons of cocoa powder. This one uses a half cup, making the chocolate taste much stronger in the final product. The cake is moist and has a nice crumb. It is a really excellent cake. While the cream cheese frosting was good, I was not impressed by it. 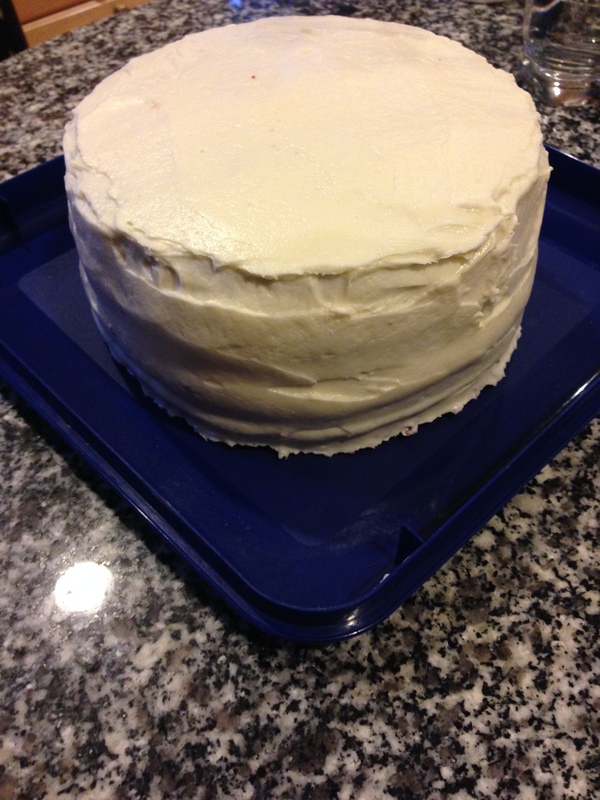 When I make this cake again, I will use the cream cheese frosting from my carrot cake recipe. Bake for approximately 40 minutes or until tester inserted into the center comes out clean. 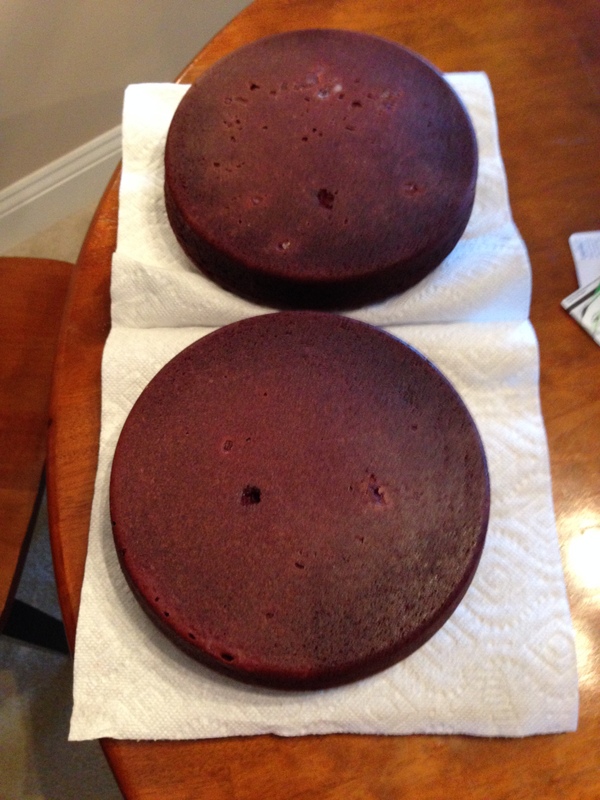 Let cake pans cool for about 10 minutes, then invert the cakes onto a cooling rack until completely cooled. For the frosting: Beat the cream cheese, butter, and vanilla together with an electric mixer on low speed to combine. Increase speed to medium-high and beat until aerated and light (about two minutes). Stop the mixer and add a few cups of the powdered sugar, incorporating it on low speed until combined. Repeat with remaining sugar in two additions. Once all powdered sugar is added, increase speed to medium-high and beat until fluffy (about one minute). Assemble and frost the cakes as desired.